The beach. The sand. The salt in the air. It’s enough to convince anyone to start buying condos in Solana Beach. Solana Beach is, in a word, gorgeous. And I don’t use that word lightly. I’m a man. I like steak. I watch sports. If I use the word “gorgeous” it better be pretty gorgeous. What makes the city this way? Let’s see, it’s a pretty long list. There’s the scenery ( it’s a beach after all ), there’s the residents ( some of the most beautiful women in Southern California call Solana Beach home. The guys are OK too, I guess. ), and there’s the nightlife. Now Solana Beach is not a Spring Break destination. I don’t want you to think you’re going to have to fight for space at the bar with a bunch of frat boys looking to do body shots off of each other. No, the nightlife in Solana Beach is decidedly more mature. And the condos for sale in Solana Beach are your VIP ticket to every single aspect of this nightlife. See, when you live right around the corner from some of the best bars, clubs, theaters and restaurants in The Golden State, there’s no better way to become the life of the party. That’s not all buying a condo in Solana Beach has to offer though. Have I mentioned that Solana Beach is a beach? I think I did. What I didn’t mention though, is that the waters and the sands of Solana are some of the most serene and breathtaking in the world. You’ll be hard pressed to prove me wrong so… don’t even try. Ever try meditating? Me neither. But I’ll tell you something right now. After spending one hour on the beach in Solana I felt as clear headed as a 4th Level Yogi. Is that I thing? I don’t care. You get what I mean. 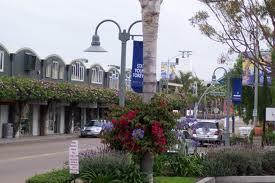 Solana Beach condos for sale should be a call to arms for those looking to do one of two things. Buy a great house in a great place. And two, get away from the big city beaches and rat race culture. 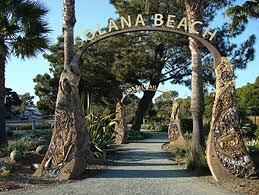 Solana Beach is waiting for you to move in. Your move.